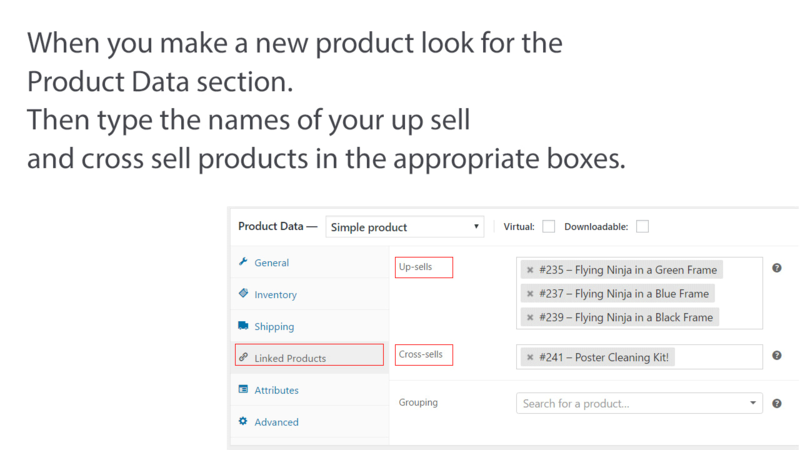 When you view your shop page you see a grid of products. 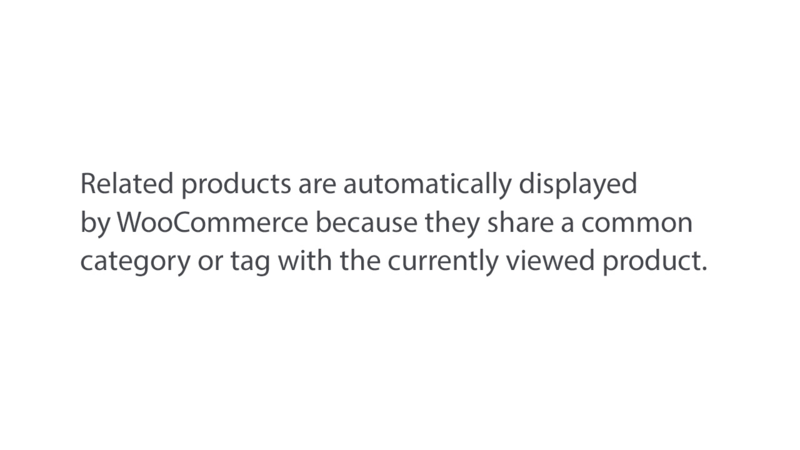 If you click one of those products to view that product’s full description. 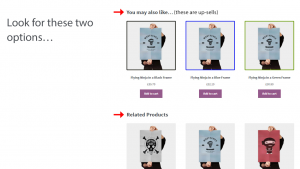 Then scroll down the page, you may see two more options. You do not see those two options on the main shop page but only on pages that display individual products. 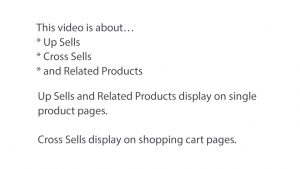 But why do Up Sells, Cross Sells and Related Products appear, how do they get there and what do you need to do to change them? 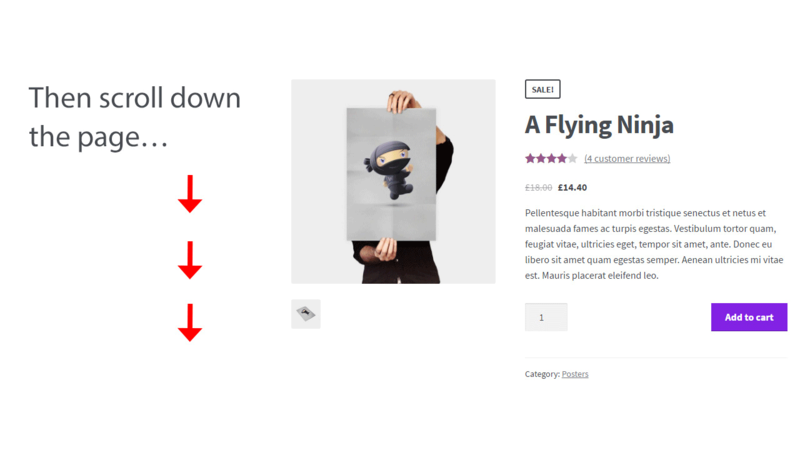 When you view an individual product, if you scroll down the page, you may see related products displaying at the bottom of that page. 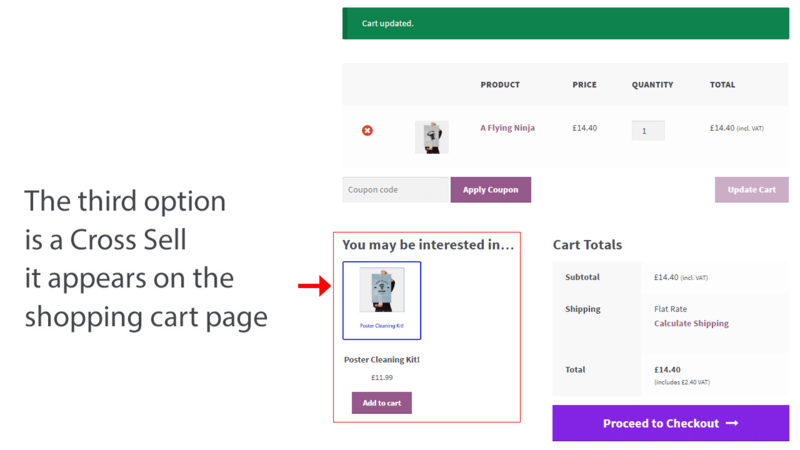 These products are placed here by WooCommerce because they are in the same product category or use the same product tags as the product you are viewing. 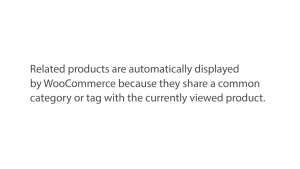 So assuming you’ve carefully and accurately categorized and tagged your product pages, the related products section is taken care of by WooCommerce. That’s all you need to know. An Up-Sell is designed to tempt your customer to upgrade from the product they are currently viewing and buy a more expensive product. In this case the up-sell is the same poster but it’s in a frame and costs more money. 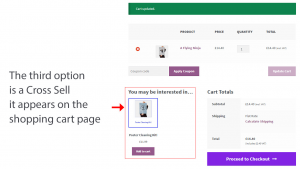 Cross Sells are products that would compliment the product that is currently in the shopping cart. 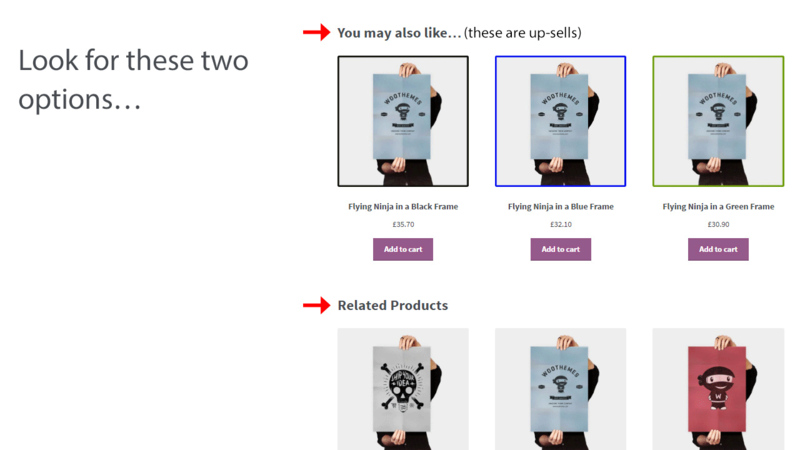 For instance, when a shopper is buying a poster and they’ve reached their shopping cart page. You could cross sell a poster cleaning kit. 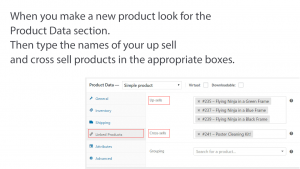 You have to manually select the specific products that you want be displayed as the up-sell or cross-sell products on a case by case basis. 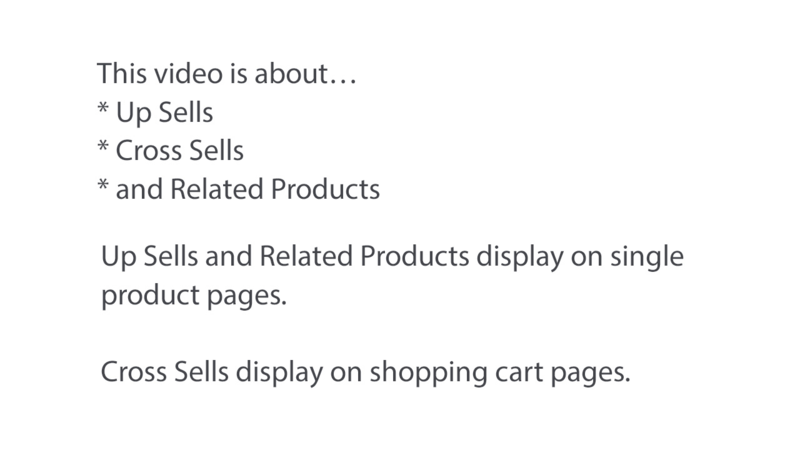 So if you don’t assign any up-sells or cross-sells to a product, that product won’t display up-sells or cross-sells. 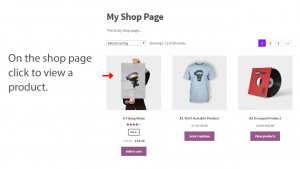 Related Products on the other hand are automatically placed there by WooCommerce.